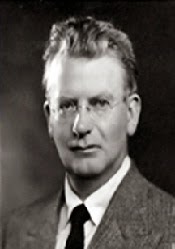 John Logie Baird (1888-1946) was a Scottish engineer and inventor, who demonstrated the first televised moving objects, the first transatlantic TV broadcast, and the first colour TV in 1941. Baird was born in Helensburgh, Argyll and Bute, Scotland, in 1888. He studied at the University of Glasgow, before the First World War intervened. Baird began his research into the problems of televising moving objects at the age of 18. In 1926 he televised objects in outline, using a flying spot of light to scan a cathode ray tube. He demonstrated the first transatlantic television broadcast in 1928. The German post office began using his system, which he had successfully applied to moving objects, in 1929. The BBC adopted Baird’s system in that year but abandoned it in 1937 for the rival electronic system of the Marconi Company. Baird also produced the first colour television pictures in 1941. At the time of inventing the TV, few could have predicted the impact it would have on society. Pre war it remained a novelty for only a few select people. But, after the second world, television became an essential part of nearly all households. It has become the most popular form of entertainment leading to the decline of many alternative forms of entertainment such as the musical hall and radio. He tried his hand at other inventions, which proved less successful. In his twenties, he tried to create diamonds made out of graphite, but failed plus short circuited Glasgow electricity. He created a glass razor which broke, and pneumatic shoes which burst. More successfully, he tried to create the world’s first video recording device. His phonograph could record a 30 line video signal onto a 78 black disc. Although it never caught on, it should his inventive capacity. Baird was dogged with ill health throughout his life. He was declared unfit for service in the first world war. Baird died on 14 June 1946 in Bexhill-on-Sea in Sussex. Baird was born at 8am on 14 August 1888 in Helensburgh, Argyll and Bute (then Dunbartonshire), and was the youngest of four children of the Reverend John Baird, the Church of Scotland's minister for the local St Bride's church and Jessie Morrison Inglis, the orphaned niece of a wealthy family of shipbuilders from Glasgow. He was educated at Larchfield Academy (now part of Lomond School) in Helensburgh, the Glasgow and West of Scotland Technical College (which later became the University of Strathclyde) and the University of Glasgow. His degree course was interrupted by World War I and he never returned to graduate.